Life can be hard for people in Uganda who are blind. Considered to be cursed, children who are blind are kept at home, denied education, ignored in society and excluded from taking part in church activities. 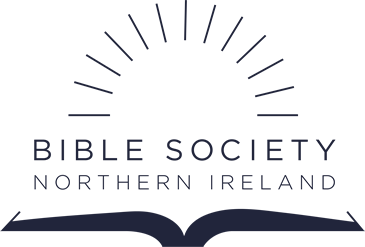 The Bible Society of Uganda is reaching out to these people with the Word of God, placing Braille Bibles at their fingertips, and Audio Bibles at their ears. By putting the message of Christ in front of people in a way they can use and understand they are able to find new meaning to their life. People can move from an existence of loneliness and bitterness to a full life in Christ of acceptance and love. 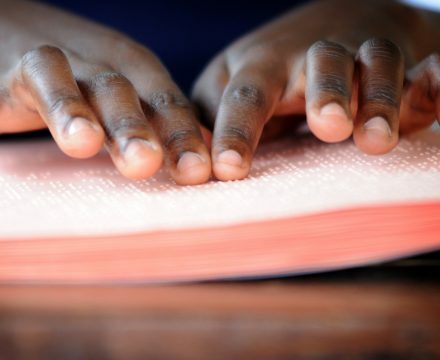 Last year the Bible Society of Uganda gave a full braille Bible to a school with 28 blind children. All the children have been so happy to share this copy of the Bible. Watch the video below to see one of the pupils recite Mark 4:1-41. This year she won the Bible Recital competition in Uganda.